Sleep is an extremely important part of the body’s circadian rhythm or sleep/wake cycle. It is the period in which the body is able to reset and recover, and many of the body’s physiological processes are only able to function during sleep. Some factors can disturb normal sleep patterns. These include: chronic illness, stress and anxiety, iron deficiency, shift work and stimulant use. 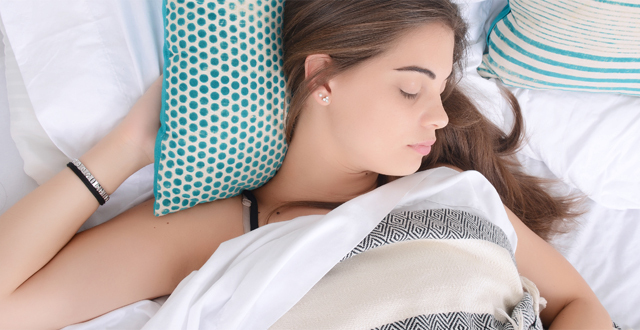 Sleep disturbances can have far-reaching effects on your health. It contributes to fatigue and mood changes, disturbances in gastrointestinal and immune functions and affects hormonal function in general. Sleep disturbances come in different forms, the main ones being insomnia, sleep apnoea and restless legs syndrome. While many of the physiological triggers for sleep disturbances have been identified, chronic sleep disorders are notoriously difficult to treat. When considering treatment, both psychological and physiological triggers need to be addressed in order to help restore normal sleep patterns. Mood disturbances also exhibit a host of physiological imbalances that are linked to hormone and neurotransmitter dysfunction and nutritional deficiencies. This is in addition to psychological triggers, many of which may be due to physiological imbalances rather than a life event. The most common forms of mood disturbances include depression and anxiety. Mood disturbances are also associated with a host of different chronic illnesses including chronic fatigue syndrome, fibromyalgia syndrome, irritable bowel syndrome and many more. Both sleep and mood are under tight hormonal and neurotransmitter control, driven mostly by the hypothalamic-pituitary-adrenal (HPA) axis and limbic system in the brain. Imbalances in any of the organs, hormones, neurotransmitters and nutritional factors involved in maintaining healthy mood and sleep can provide a stress on the body and negatively impact on the functioning of the HPA and limbic systems. The Sleep and Mood Test is a comprehensive assessment of those neurotransmitters, hormones, organ systems and nutrients involved in supporting healthy mood and sleep. It also provides information on the presence of nutrients and compounds that may cause a disturbance to the normal production of these neurotransmitters and hormones. Sleep and mood are extremely complex areas with many variables impacting on their healthy function. This test focuses purely on physiological and nutritional factors and may help to identify areas of imbalance. Hormones and Neurotransmitters: Adrenalin, Cortisol, Dopamine,GABA, Histamine, Melatonin, Noradrenalin, Serotonin.